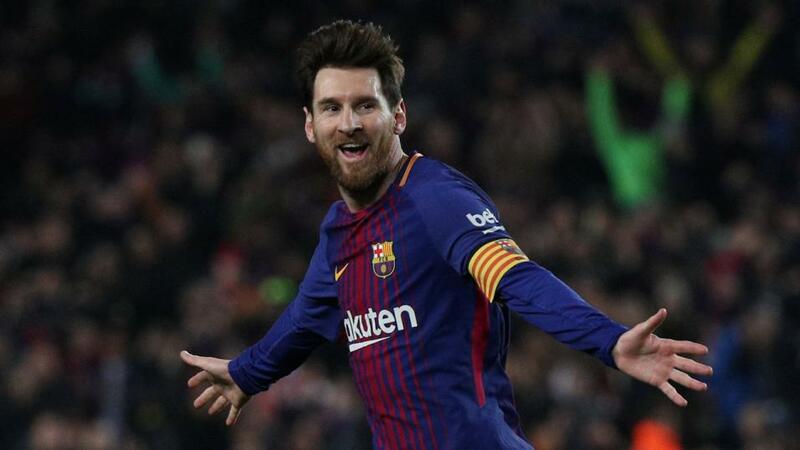 "Messi has netted 10 times in his last six outings for the Catalans, and there's every chance he will enjoy himself against a backline that has looked short on leadership at times this season"
Free hit for Red Devils? It's rare to get eight days' rest at the business end of the season, and there's little doubt that the mini pause came at a good time for Manchester United. The momentum built up Ole Gunnar Solskjaer during his first months in the job was nowhere to be seen either side of the international break, with last Tuesday's reversal at Wolves their third defeat in four matches. With Arsenal and Chelsea both picking up points over the same spell, United's top-four hopes have drifted. But if ever there was a game to get the juices flowing again, this is it. United and Barcelona have quite the shared history in the Champions League, and the prospect of writing a new chapter will not be lost on the players or the manager. And with the Catalans widely expected to progress - they are [1.3] to qualify - the tie carries the welcome scent of opportunity rather than obligation. Solskjaer will hoping Marcus Rashford is fit enough to return in attack, and it would be no great surprise were he play alongside Romelu Lukaku in a repeat of the system employed away to Paris Saint-Germain. Nemanja Matić can also expect to come into the starting XI, but the big question for United might just be whether Paul Pogba can rediscover the sparkling form he showed at the start of the Solskjaer regime. The Frenchman has struggled lately, and United's displays have followed suit. Barcelona could hardly be in a better position coming into Wednesday's first leg at Old Trafford. With a Copa del Rey final against Valencia already in the calendar, they all but wrapped up the Spanish league title at the weekend, beating Atlético Madrid at Camp Nou. Their advantage is now 11 points, plus goal difference, so Ernesto Valverde will surely rotate at the weekend, guaranteeing fresh legs when United come to town next week. A historic treble beckons, then, and there are plenty of reasons for United's defence in particular to be worried. Lionel Messi is in flabbergasting form (when is he not?) and Luis Suárez has shaken off the dust in recent months; they have netted 34 goals between them since the turn of the year. Even the absence of Ousmane Dembélé - and the underwhelming form of Philippe Coutinho - hasn't seemed to slow them down much. Yet while the Blaugrana haven't lost a Champions League or La Liga game since November, there are frailties there. Take last week's madcap 4-4 draw with Villarreal, who terrified the Barça backline with their pace and purpose. United have needed a couple of heroic away wins - against Juventus and PSG - to get this far in the competition, largely because their home form has been far from convincing. They have won only one of four Champions League games at Old Trafford, and that was a grimy 1-0 success over Young Boys. There were mitigating circumstances in the other three games, however: the results against Valencia (0-0) and Juventus (0-1) bear a Jose Mourinho-shaped asterisk, and while PSG eventually did a job on them in Manchester (0-2), Presnel Kimpembe should have been sent off before opening the scoring, which would have changed the game. More relevant is United's current form, which has been shaky at best. It's now seven games without a clean sheet, and injuries have broken up a winning formula in midfield and attack (Ander Herrera, for instance, is far from United's best player, but he has been missed). You feel United would have to be at their very best to win this, but with so many question marks over them, it's understandable that Barça are [2.08] favourites. Lionel Messi has scored 22 Champions League goals against English teams - more than any other player in the history of the competition. He has netted 10 times in his last six outings for the Catalans, and there's every chance he will enjoy himself against a backline that has looked short on leadership at times this season. He can be backed at 9/10 to net anytime on the Sportsbook. Alternatively, you could use the Same Game Multi tool to make a double of Barça to win and Messi to net, at odds of [2.87].